MAS Financial Services IPO Off To A Strong Start: Should You Invest? The MAS Financial Services Ltd IPO is a mix of fresh issue (Rs 233 crore) and offer for sale (Rs 227 crore). The IPO of MAS Financial Services opened on Friday and was fully subscribed on the same day. The issue was oversubscribed 1.06 times on the first day. 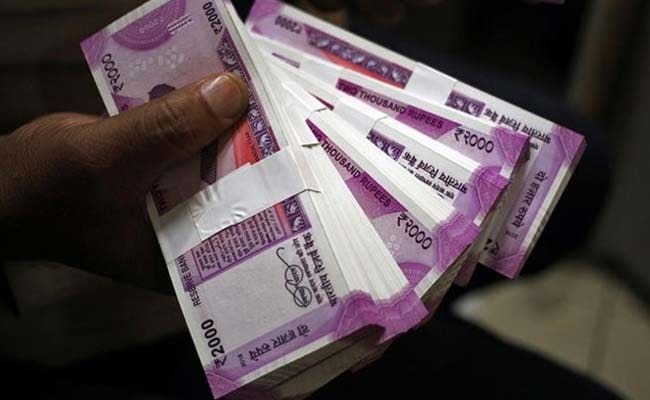 The Gujarat-based non-banking financial company (NBFC) is set to raise Rs 460 crore from the primary market through an initial public offer (IPO). The MAS Financial Services IPO opened for subscription today. Priced in a band of Rs 456-459, the MAS Financial Services IPO is a mix of fresh issue and offer for sale by early investors and will give the company a post-issue valuation of Rs 2,500 crore. The MAS Financial Services IPO can be subscribed in a lot size of 32 shares. Motilal Oswal Investment Advisors is the book running lead manager of the MAS Financial Services IPO. Should You Invest In MAS Financial Services IPO? 1) The MAS Financial Services IPO is a mix of fresh issue (Rs 233 crore) and offer for sale (Rs 227 crore) by early investors like Sarva Capital and DEG (an entrepreneurial development bank of the Netherlands). The company want to use the proceeds of the MAS Financial Services IPO for augmenting its capital base to meet future capital requirement. 2) Gujarat-headquartered MAS Financial Services has been in operation for more than two decades. Its branches are spread across six states and the NCT of Delhi. The company started its operation with focus on micro enterprises (ME) loans and gradually expanded its loan portfolio to two-wheeler and commercial vehicle, SME and housing loans. To leverage its existing client base and network further, it has now extended loans to agricultural input and equipment segment. 3) MAS Financial Services' persistent efforts towards expanding distribution and diversifying product/customer franchise have resulted in a strong 33.4 per cent CAGR in its asset under management (AUM) during FY2013-17, says domestic brokerage IIFL. As of Q1 of FY18 its AUM stood at Rs 3,451.7 crore with 60 per cent coming from ME loans and 23 per cent from SME loans. 4) Despite the robust growth in its AUM, MAS Financial Services' gross non-performing loans and credit costs have remained in a band of 1-1.2 per cent over the past many years. The company has a revenue-sharing arrangement with large number of sourcing partners, who are accountable for the quality of the loan. According to IIFL, such commercial arrangements have led to lower delinquency rates for MAS Financial Services. Its capital adequacy ratio (CAR) also remained robust at 23.8 per cent as of June 30, 2017. 5) MAS Financial Services has reported a net profit of Rs 69 crore on net interest income (NII) of Rs 172 crore in the previous fiscal year. Its net profit has grown at a CAGR of 26.43 per cent while its NII has witnessed a CAGR of 24.75 per cent over the FY2013-2017. At the upper end of the price band, MAS Financial Services shares are valued 3.7 times its post-issue book value, says IIFL. The brokerage has a 'subscribe' rating on the issue. "This valuation should be palatable for long term investors considering the impressive RoE profile of the business," the brokerage said. Angel Broking also has a "subscribe" rating on the issue. The company deals with relatively risky customers and any default from them could affect its business negatively, say analysts. 22 per cent of MAS Financial Services' portfolio consists of unsecured loans, which could be a potential risk, according to brokerages.